This is étude No. 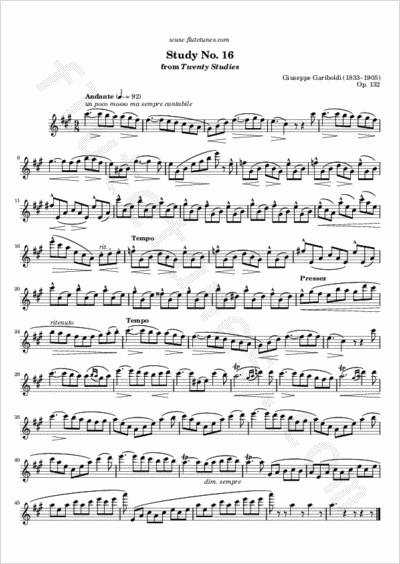 16 from Italian flutist and composer Giuseppe Gariboldi's Twenty Studies, Op. 132. It is marked “un poco mosso ma sempre cantabile”, which translates to “a little agitated but always songful”.